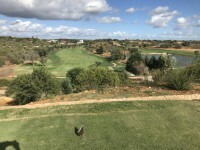 Great course - varied, challenging holes and in fantastic condition. Looks like a lot of the issues previously mentioned have been resolved. To send Martin a message, please log in to your account or sign in using Google or Facebook. Please Note! The message you send below is not private, we screen every message to ensure that our clients do not receive unsolicited emails or marketing emails. Your full name and email address will also be sent to Martin.